Author: Schaefer, Carole Lexa Set In . . . It's laundry day on a South Pacific island, and Kessy is proud that Mama has chosen him to go to Minda's Store to buy the biggest soap. But he'll have to hurry if he wants to get back in time for the storytelling that accompanies the washing, so off he goes -- as fast as a typhoon wind! 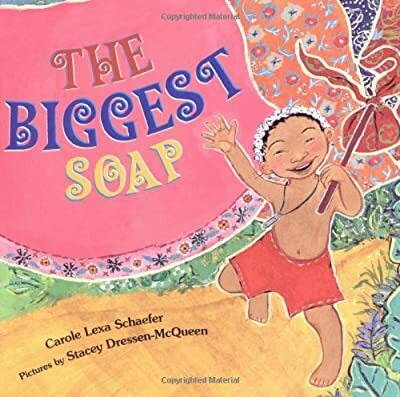 Along the way there are plenty of surprises, but Kessy returns with just enough soap to finish the wash and in time to tell stories galore from his big adventure. Exploding with bright colors and patterns, this playful picture book celebrates the warmth of a close-knit island community and the independent spirit of its youngest member.